Many B2B distributors were already embracing eCommerce due to rising customer expectations for B2C-like buying experiences. This also resulted in them pricing aggressively online. However, this distributor hadn’t made the transition to eCommerce yet and felt the need to address it. 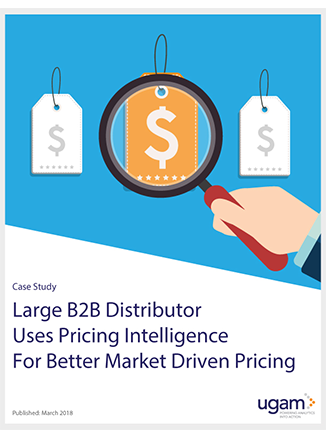 Their internal team began by providing competitor pricing insights. However, their director and internal team couldn’t meet the needs of collecting data at scale, accurate matching and normalization of prices as well as providing timely insights. Learn how their partnership with Ugam helps them transition to a data-driven competitive intelligence framework.